We are a family owned and operated business. While mainly servicing south of the river, we can service the Greater Perth region. Our team of experienced professionals look after jobs of all sizes for our Residential and Commercial clients. 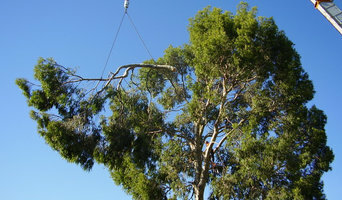 Specialising in tree removal services in Perth, we are also qualified arborists and are skilled to handle anything tree related. Other services we provide include: Stump Grinding Tree management Mulch Block Clearance Land Clearing We can service anything from the back yard to Golf Courses and Parks. If you need a tree surgeon or if you have a tree need and aren't sure who to turn to, give us a call to see if we can help. We give rapid fixed quotes valid for 30 days. We are one of Perth's best tree service companies Competitive prices and full insurance ensures peace of mind and best of service. 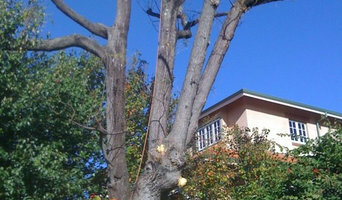 Removal and trimming of unwanted trees or branches. Power line clearance and all aspects of tree work. I'm a qualified arborist and have been in the industry for over 15 years. Perth Staff Parties is a premier party company that goes a long way backway before 2001, the year when the company itself started. This is because both Brett and Donna Allen have a long history of success in the entertainment industry; they have spent many years working for TV, film, radio, and even theatre. As a reputable tree removal service provider, Atlanta Tree Services is pleased to abide by this code of practice. Drastic issues occasionally call for drastic solutions and whether the elimination of a tree ought to be the only sensible course of action, you will need an experienced tree arboriculture’s such as ours to carry out the work. Though it might seem as a job that requires more energy than ability, it's in fact a highly technical procedure that needs to be approached with amazing care if it's to be completed safely. 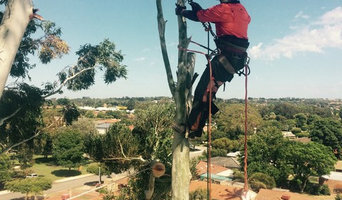 All of our arborists Perth are fully qualified and professional experts who are more than capable of handling this kind of task quickly and efficiently. Our teams are highly experienced people. We utilize only the most dependable gear and are absolutely devoted to doing our work well. From the moment that you call us to the last approval phase of the project, trust that we will keep you informed. We'll provide you a reasonable estimate, and you'll get the highest quality work along with extreme respect for your safety and your house in return. At Perth Arbor Services, they offer a range of professional tree services in Perth, including tree lopping, tree risk assessment, palm trimming, tree pruning, power line clearance and tree removals seven days a week. Their friendly and knowledgeable tree surgeons can recommend and provide direct actions, whether they are individual requirements or on-going services, to save you time and money. Why wait years for a beautiful garden? Established, mature trees add so much to your outdoor environment. They create shade, privacy, ambience, and fresh air. As the experts in advanced trees, Instant Tree Nursery can provide you with established trees that fast track you past years of wait-time, allowing you to enjoy the benefits that only an advanced tree can provide. With years of knowledge and experience in the industry, we’ll give you expert advice on how to transport, plant and nurture your established tree so that it becomes a thing of natural beauty to enjoy for years to come. We carry over 130 tree varieties in varying ages – from the young to fully established 10-year-old trees. Our range includes a number of interesting deciduous and evergreens to the ever-popular fruit trees. Infinity Floor Restoration is committed to the ongoing development of innovative cleaning procedures. They personalise their services to fit your unique needs and can provide a wide range of speciality floor restoration services: cleaning, polishing, grinding, resurfacing and sealing. Providing quality tree lopping services in Perth, Rockingham, Mandurah, Kwinana, Baldivis & Serpentine. Contact Branching Out today for all your tree lopping, stump removal, palm tree removal & tree pruning needs. Whether you’re planning a new garden or landscaping an existing one, an arborist can also advise you on the best tree selection for your Attadale, Western Australia environment, assist in planting, and can provide you with a long-term maintenance plan. Furthermore, they can help you diagnose any insect problems or diseases threatening existing plants in your yard. If you want to relocate a tree, an expert in arboriculture can give you advice on what it will need to flourish, and will replant it accordingly. Other services include hedge and shrub trimming, tree pruning and mulching. Tree contractors and arborists in Attadale may work in conjunction with landscaping professionals to create a seamless design. Here are some related professionals and vendors to complement the work of arborists & tree services: Landscape Contractors & Gardeners, Landscape Architects & Designers, Garden & Landscape Supplies.